With our new line of Redco cribbing and blocking the choices of various wedges, crib options and chocks can be overwhelming. It can be tough to figure out: what do you really need to be equipped to respond to that next call? Fortunately we have the Redco First Responders kits. These kits are designed to provide the tools you need as a first responder to stabilize a vehicle in those first critical moments of a call. 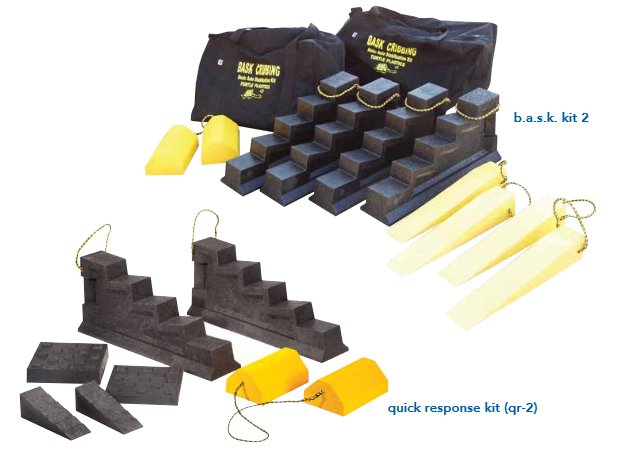 Most kits are a combination of wedges, step chocks and lock blocks and are suited to different budgets and needs. 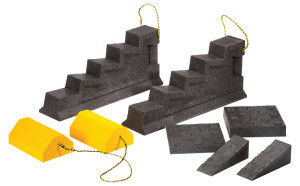 The step chock component is probably the most recognizable as a large wedge with flat tiers on the top, and has a “staircase” look to it. The wedges are simply just that, wedges, and function where the step chock may not work due to its bulk. The lock blocks are the most versatile tool in the kit as they can be stacked to provide a stable cribbing surface, combined with the chock blocks to create a larger surface area, or even used on their own as a brace – for example, to place on a car seat where you may place a jack to expand a collapsed roof. For a quotation on these first responder kits, or more information on the larger kits, please contact us today.